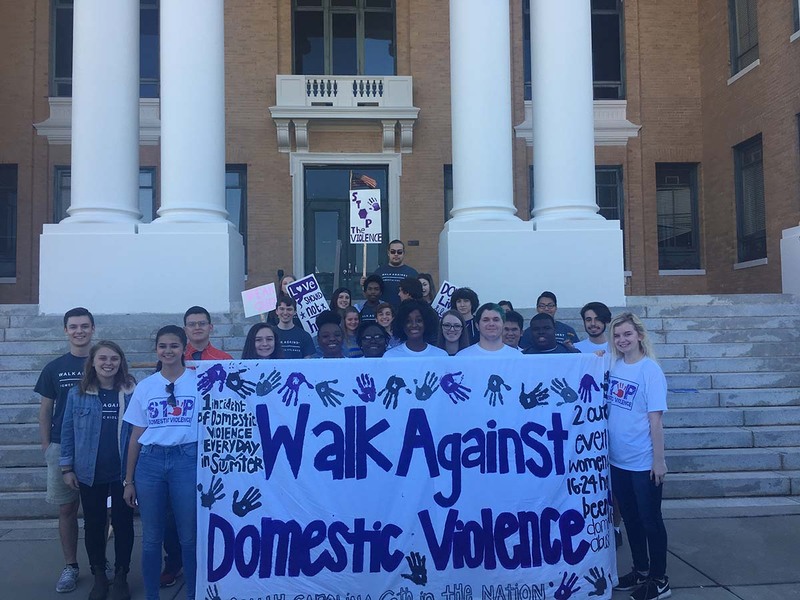 “I have several family members that were victims of domestic violence and that led me to research that showed South Carolina as having one of the highest rates of domestic violence per capita in the country,” says Tyler Bridges, who started a Walk Against Domestic Violence in 2007 when he was a student at Sumter High School, in South Carolina. “It was both a public and private issue for me. In the city of Sumter alone, there was at least one instance of domestic violence every day. I grew up in a rural farming community, and there had been a stigma against talking about domestic violence for as long as I can remember,” he says. “Talking with my IB classmates, we decided that we needed to shine a light on this ugly part of an otherwise beautiful state. We started this project as a class, faced by a difficult reality, and ended it as a community, hoping that our message would be spread by IB generations yet to come,” he recalls. 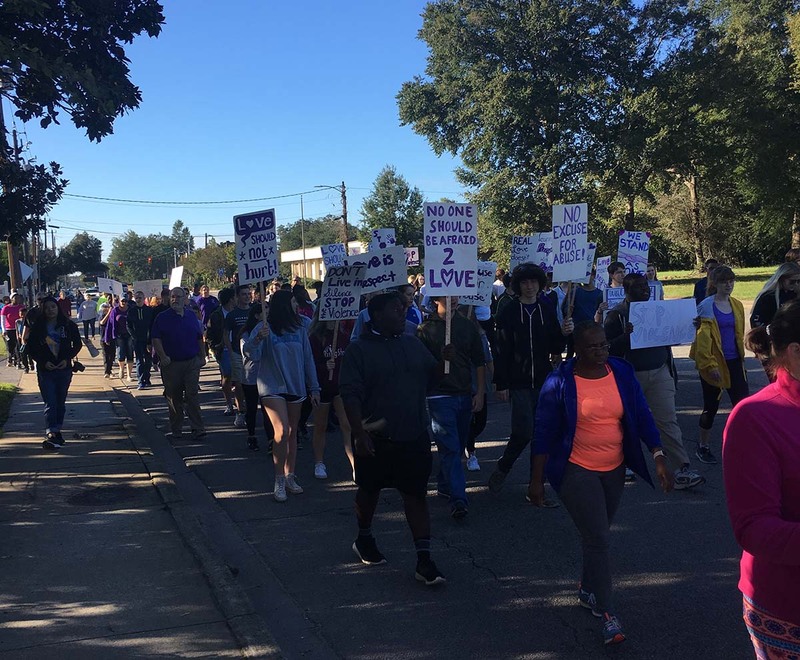 This year, Diploma Programme (DP) students at the school, participated in the twelfth Walk Against Domestic Violence, during October’s Domestic Violence Awareness Month in the USA. 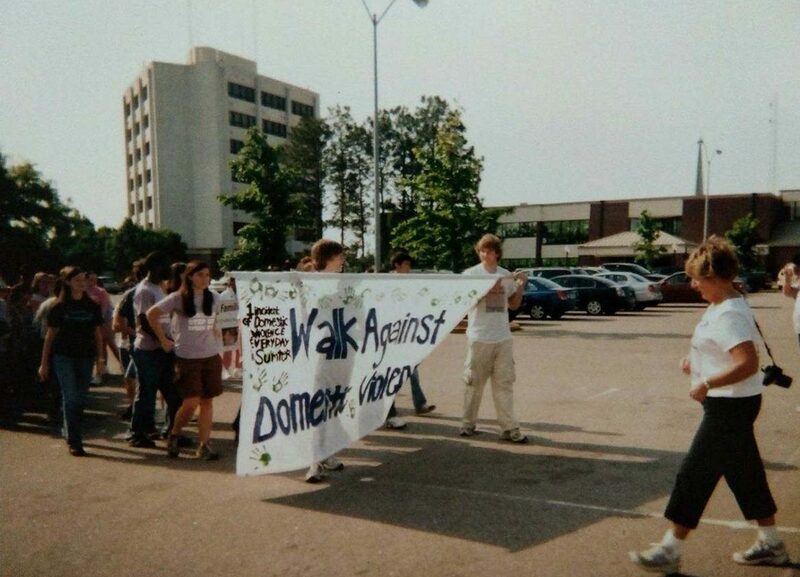 The walk is organized in collaboration with the YWCA (Young Women’s Christian Association), which runs the local women’s shelter for women and their children, who are escaping abuse from a domestic partner. This year, the YWCA wanted to raise awareness and funds for their new youth programme, designed around educating students in how to develop and foster healthy relationship behaviours. The students, led by Katherine Singleton and Makenzie Berry, made and distributed flyers advertising the event and held a baked goods sale and sold t-shirts they had designed. They raised almost USD500, which included a donation from the athletics department. They also collected boxes of toiletry items to be donated to the women’s shelter. The project also gave students an opportunity to demonstrate the IB learner profile attributes. Brown says: “They develop their ability to be effective communicators and collaborators. 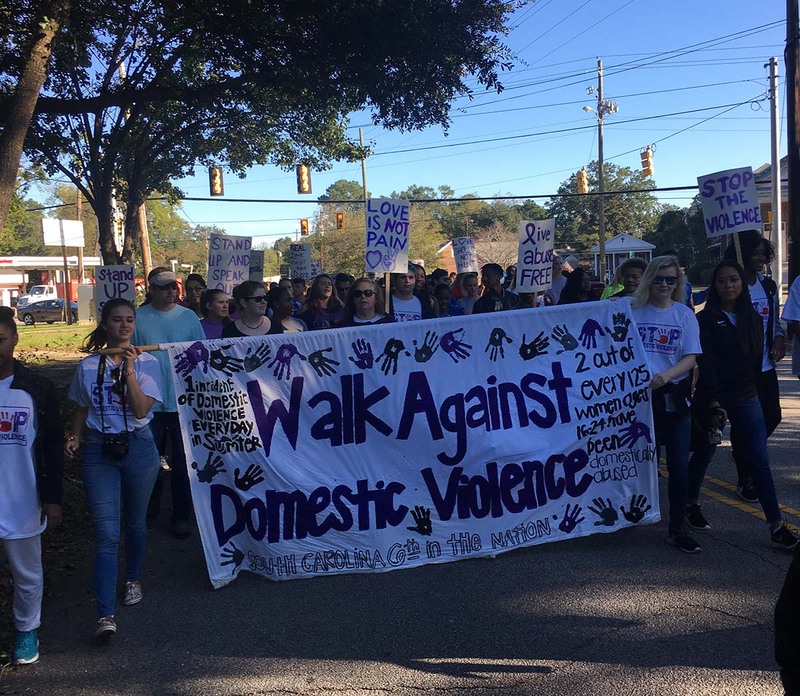 Students begin the walk with a short speech about the domestic violence in South Carolina. This involves taking a lot of risks for students. They have to be comfortable with the uncertainty that comes from organizing an event that involves so many people. In the process, they learn how to engage with local leaders, solve problems with their peers, and most importantly, they develop a greater understanding of how working with a collective group on a common objective can result in immediate and meaningful results. “Victims of domestic violence often attend the event, and they are always so appreciative of the support that they see from young people. They can’t believe that teenagers care enough to organize a demonstration of this scale,” says Brown.